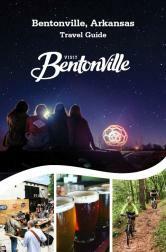 "Northwest Arkansas sits in a section of the Ozarks known as the Boston Mountains. These mountains are most dramatic at the southern end of the region, around Fayetteville, home of the University of Arkansas and one of the longest-running stage races in the U.S., the Joe Martin Stage Race. This stage race celebrated its 40th running last year and has grown to become an integral part of the USA Cycling pro tour and longest continuously accredited UCI pro race on U.S. soil."